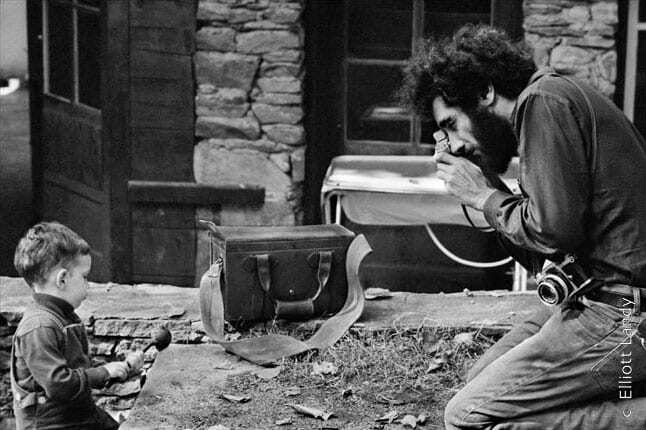 He photographed many of the underground rock and roll superstars, both backstage and onstage, from 1967 to 69. 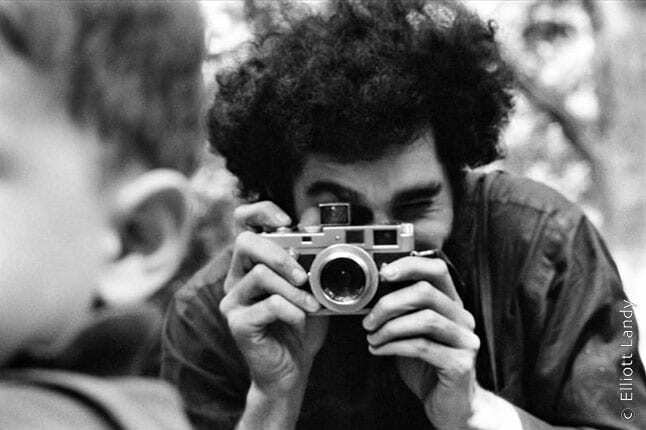 His photographs have been published worldwide for many years in all print mediums including covers of Rolling Stone, Life, the Saturday Evening Post, etc. and album covers, calendars, photographic book collections, etc. 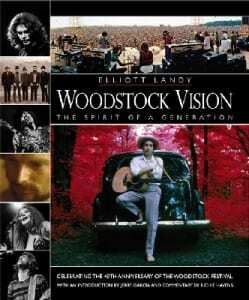 He has published Woodstock Vision, The Spirit of A Generation, in book and CD-ROM format, and authored the book Woodstock 69, The First Festival. Slides shown above are photos of Elliott taken by Bob Dylan, check them out in the Dylan Photo Gallery.